A hundred-thousand voices screaming into an electronic echo-chamber. Welcome to modern communications. Your idea must be heard, but how? We’re not the first to face this test. Our communications ancestors competed in the (literally) screaming markets of the ancient world. They developed a fix for the problem. A simple and elegant and beautiful fix. Whether you are writing or persuading or presenting, it’s time to bring it back. That fix was a simple system of word-structures designed to take your message and lift it clear it of the noise. Your message needs to be the one that’s heard. Your message has to stand-out. In the words of the Roman genius Cicero, a message needs to have ‘brilliant lights’. Lights to capture the eyes and imagination of an audience. To win you must wow. The Ancients left us a full tool-kit to do just that. We’ve developed a simple system to put that toolkit right back into your hands. That toolkit is Dirty Rhetoric. Dirty Rhetoric is a selection of 53 rhetorical techniques designed to light up your message. As the name implies – we’ve designed it to be quick and dirty – no rhetoric classes required. Just pick-a-card and boost your message. I hope I’ve piqued your interest. 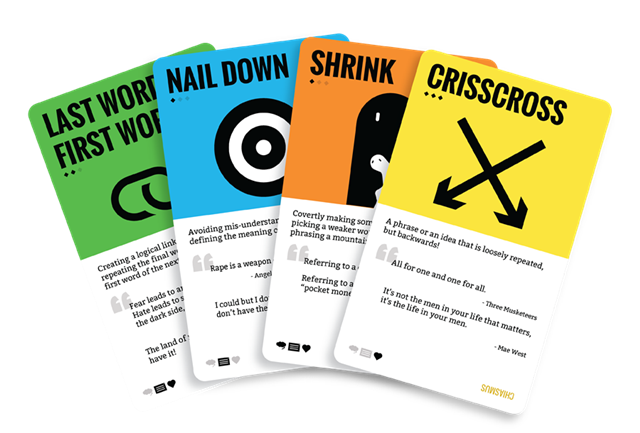 Today we launch Dirty Rhetoric on KickStarter. 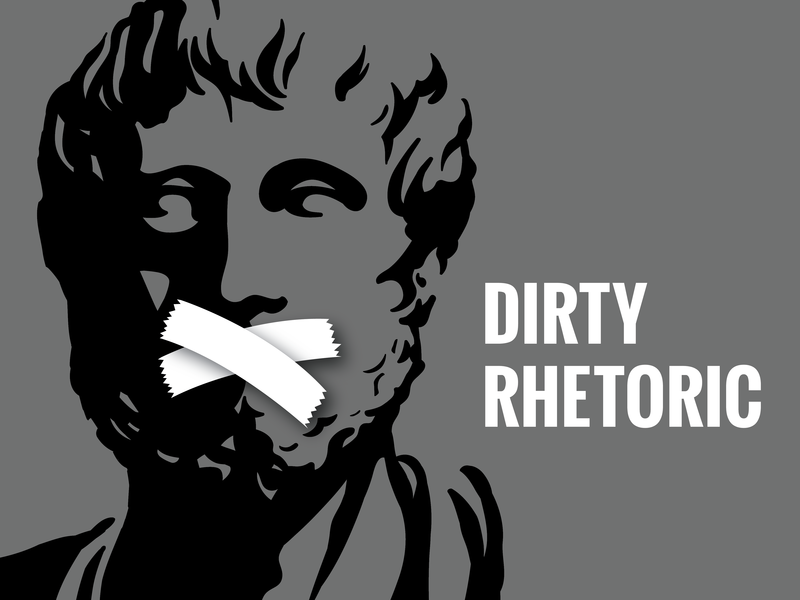 Go here to find more information on how Dirty Rhetoric can help your message. We have an exciting schedule of communications activities planned to help us launch Dirty Rhetoric, ranging from webinars through to ‘Peter’s Podcasts’ – highlighting the uses of rhetoric in topical politics and product launches and maybe even the occasional pop-song. I’d be delighted if you would join us for the ride. It promises to be fun! Let’s break-out of that echo-chamber. It’s time to be heard!